Clever clips work as great additions for your fixtures & displays. 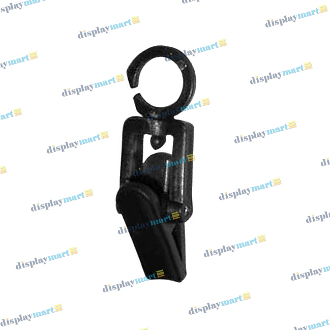 Just snap these small, lightweight swivel clips to your existing wire gridwall panels, baskets, or hooks and easily display signage, and small merchandise. They are sold in packs of 100, and are ready for purchase in black or white finishes from DisplayMart.com.